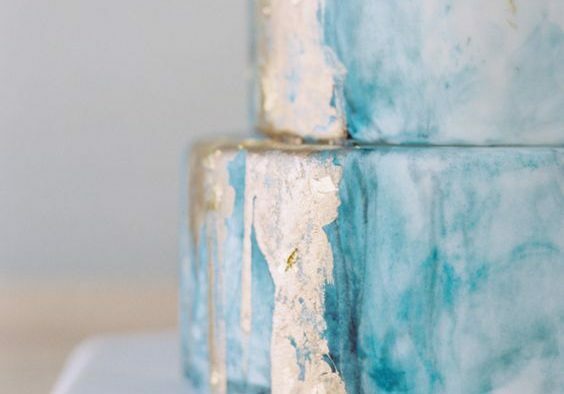 This week, we’ve decided to go wedding cake crazy and bring you lots of wedding cake inspiration. 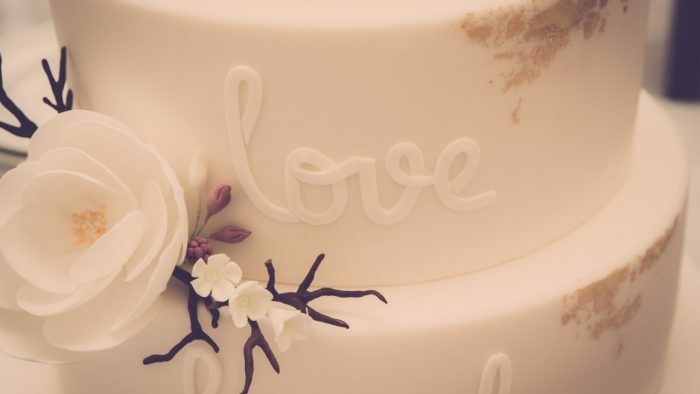 We will do a post each day on a different wedding cake idea to really get the creative juices flowing. We’re starting out with gold wedding cakes. They bring out the sparkle in any wedding and lets be honest, who doesn’t love a little gold every now and again. 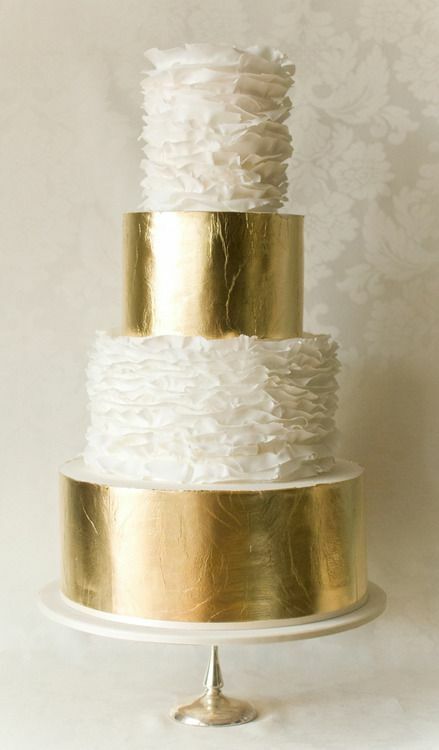 We love the sophisticated feel to this gold wedding cake. It could easily be fit for royalty. We also love the combination of filigree and flowers on this. 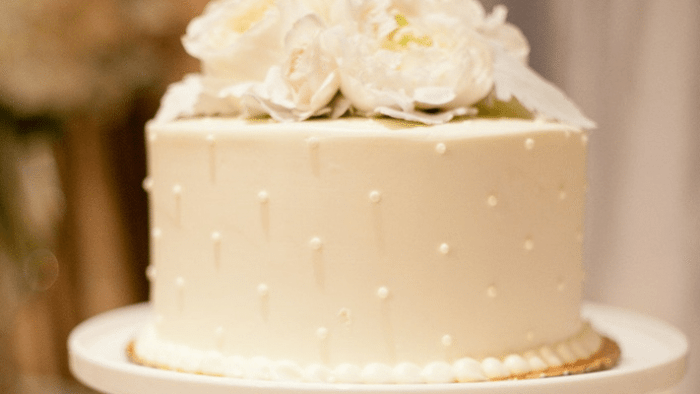 This four tier wedding cake is simple yet sophisticated. Love the gold ribbon and the elegant decorative touches. This one is a little out of the box but we love it. 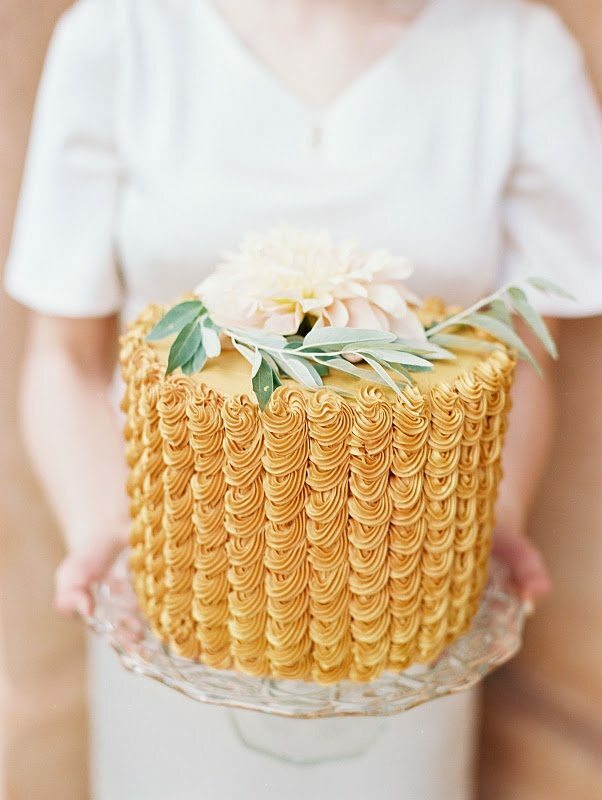 The swirly frosting, cheery golden color with the ultimate natural decoration on top make this one of our favorite and original wedding cakes. 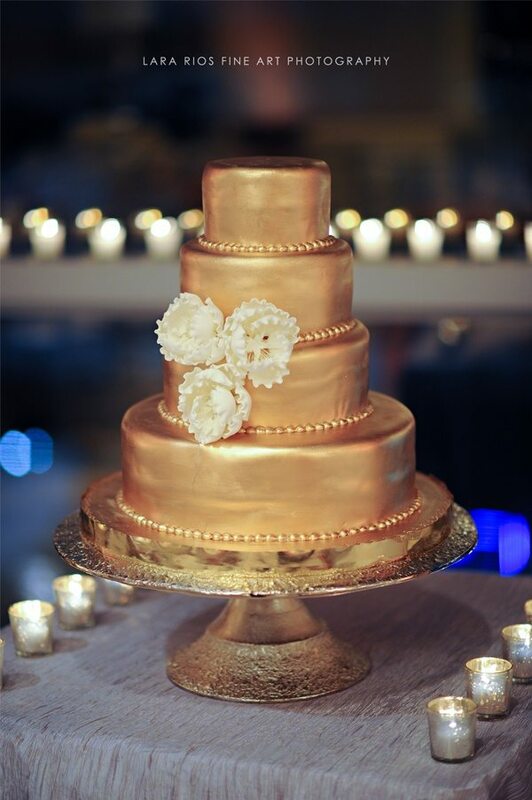 While most of the gold wedding cakes you will see have touches of gold, this wedding cake it all gold. The white and gold wedding cake you see here looks super high end and would make a fabulous cake. We’re not sure this is our favorite kind of cake, but we had to include it in our roundup. 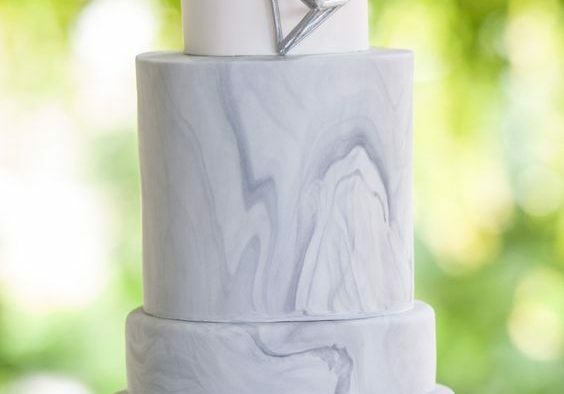 This is a crazy tall, mixed shape wedding cake that really has to be seen to be believed. 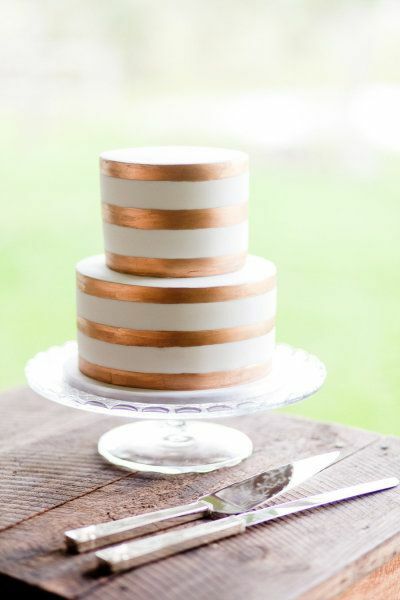 This pretty gold striped wedding cake is a classic two-tiered cake with no embellishments at all other than simple and clean stripes of gold. We love the simple elegance. 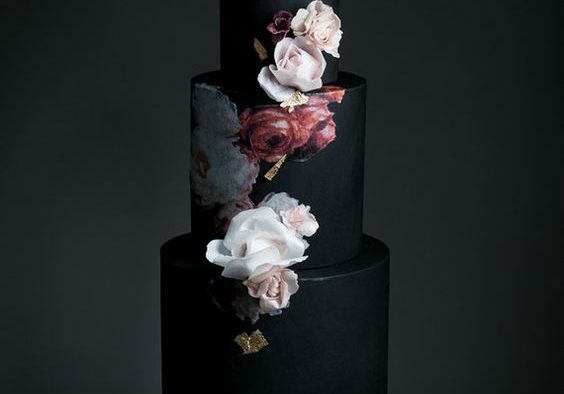 We struggled to find a name for this cake, but we didn’t struggle falling in love with the wonderful and simple design where the gold accents and beautiful flower jump out at you. 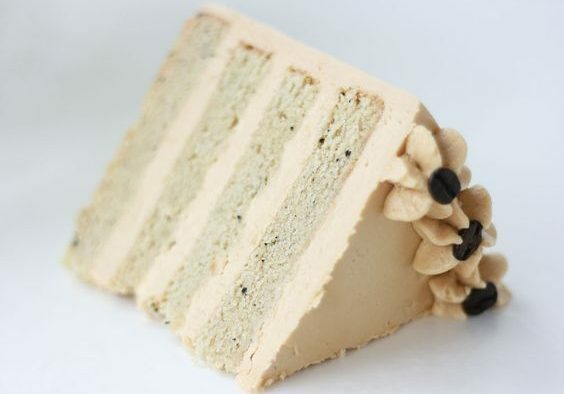 This cake really is so simple yet you cannot stop staring at it. 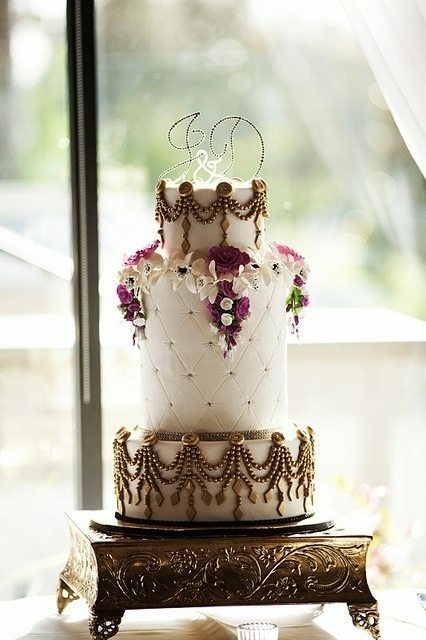 This Gatsby inspired cake looks stunning on this extravagant stand. 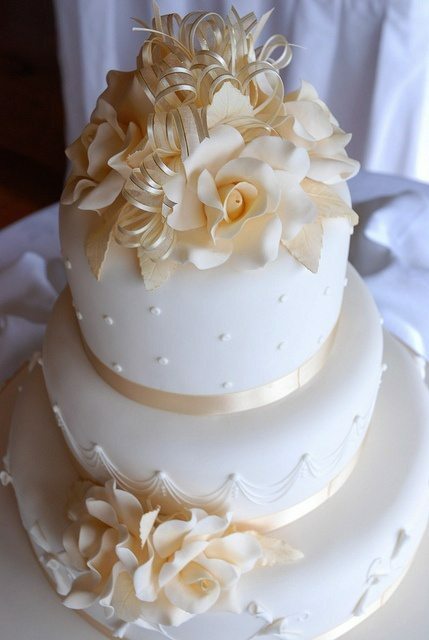 The gold leaf flower and gold trimmed decorations really make the white cake stand out while not going over the top. This is our favorite cake of the bunch. 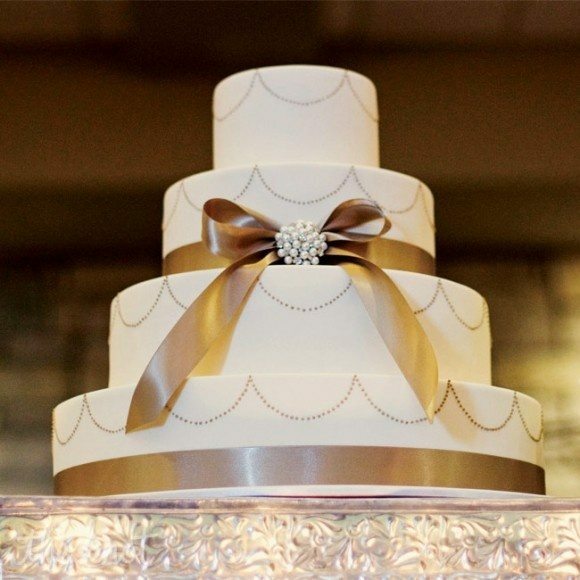 It does a great job of taking a three-tiered white cake and adding gold accents to it. The gold in this case is very subtle and the added flowers and leaves in the same hue really take it to the next love. 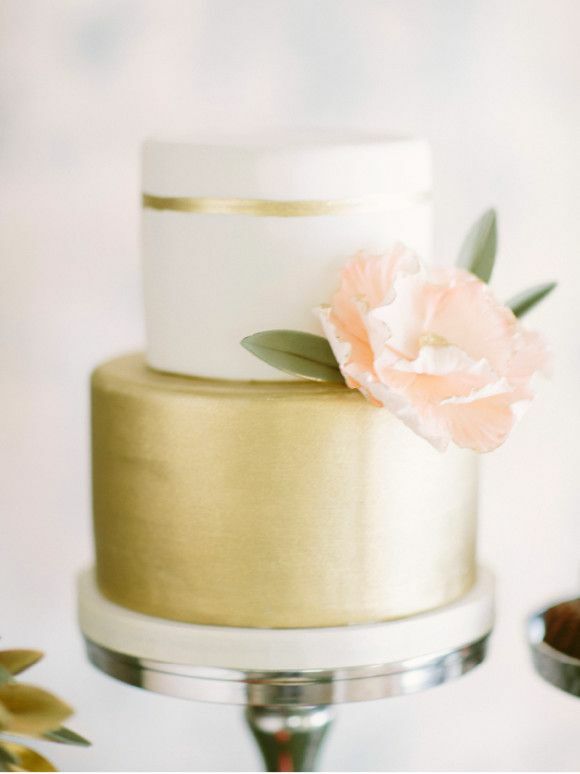 We love, love, love this gold wedding cake goodness. This cake is truly remarkable because it takes two very different concepts and combines them into a golden and ruffled wedding cake masterpiece. 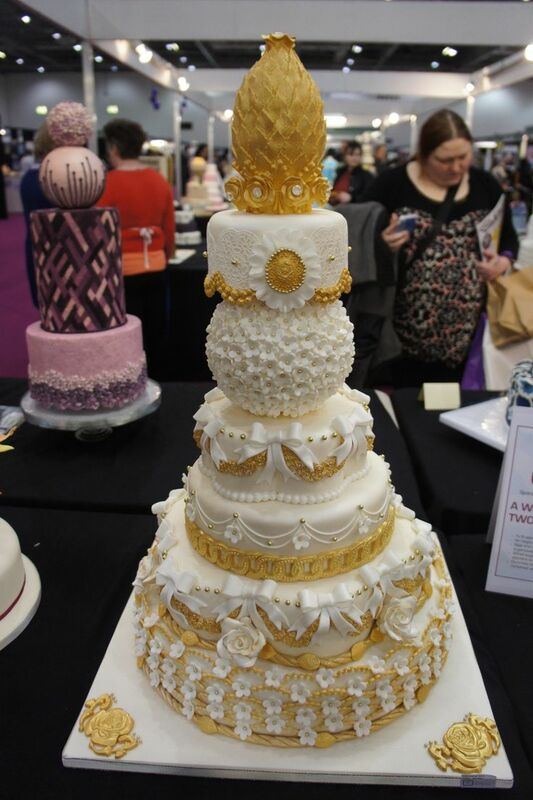 The combined white and gold really makes this cake standout as does the massive four tiers of cakey goodness.